The Prima Collection represents Wayfarer Furniture’s approach to making stylish and practical products that meet the demands of today’s discerning travelling urbanite. 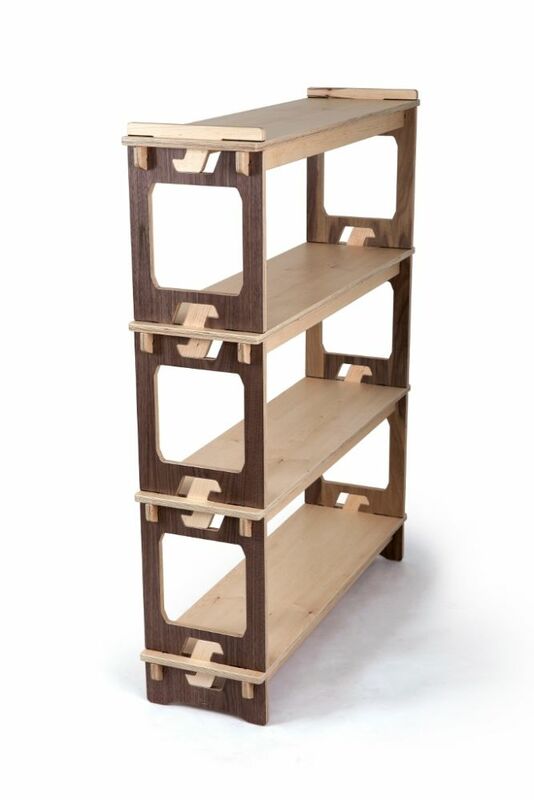 Through the use of crown-cut maple and walnut veneers, that provide a traditional finish, combined with the unique easy-to-assemble-and-disassemble structure and re-useable bag, made for moving home and storage, this display unit reflects the latest in contemporary design. It can be used to display cherished ornaments, store the heaviest of cook books or as a multi-functional room devider. Only using materials from responsibly managed sources and never relying on non-recycled plastics or metals, sustainability is at the core of Wayfarer Furniture. Basing our manufacturing in the UK ensures our ethical values also remain at the forefront. Designed and made in Leicester, UK. *Note: For products that are in stock deliveries will be made within 10 working days from the date of ordering, otherwise a 4-8 week delivery time will be required. This sustainable approach to living, by reducing the need for disposing furniture or big home-removal vans, also inspired how Wayfarer Furniture products would be designed and manufactured.